Kerri-Anne opens up about her husband's fall that's left him alive but unable to speak. It was a fall that should have been nothing but a harmless trip. It was a fall that would have left most people unharmed, off a low ledge and onto a grassy lawn. But John Kennerley did not recover like most people when he lost his balance and fell less than a metre onto a golf course. Instead, he broke his neck. Now paralysed, John cannot breathe without aid, or move his limbs without help. 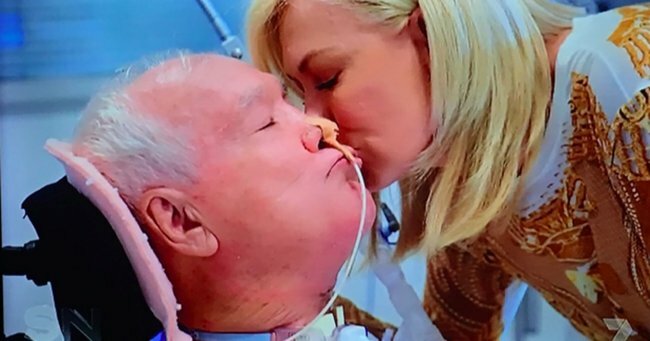 For his wife, Kerri-Anne Kennerley, it’s been a nightmare. 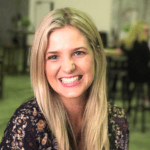 On Sunday Night, Kerri-Anne spoke for the first time since the accident and how she’s coping. When asked how the accident occurred, Kerri-Anne falls quiet for a moment. “I just sat at his head and I kept telling him everything was going to be okay,” she says the moment she realised John could not move. She was told on arrival at Coffs Harbour hospital that John needed to be placed into an induced coma. Before proceeding, doctors told Kerri-Anne to go and have a word with her husband. "Basically, they said they do it all the time, but... they&apos;d hate me not to have had some words with him," she said. "I&apos;m in denial. I&apos;m going, nup. This cannot happen. It&apos;s just like this shocking dream." After John underwent surgery, Kerri-Anne was given the most terrifying news yet: it would be a year until she knew what John&apos;s prognosis would be, and what functions he would regain, if any. Kerri-Anne now spends eight hours a day at her husband&apos;s bedside, where he remains in intensive care. His prognosis is bleak. "It&apos;s just horrible. I actually don&apos;t want to get out of bed," she told Mike. "ICU are places you really never get used to." But while it&apos;s difficult to force herself to make the drive to the hospital each day, Kerri-Anne still can&apos;t resist looking forward to seeing John, regardless of his condition. "As exhausting as it is going to the hospital, I really look forward to seeing him. It is really comforting to know he&apos;s still there. It was touch and go that he wasn&apos;t going to be there," she said. Interacting with John isn&apos;t easy, but Kerri-Anne makes do as best she can. "He&apos;s trapped in his mind, he&apos;s trapped in his body. He can&apos;t speak, he can&apos;t touch me. All I can do is ever so gently hold his head... and kiss him," she went on. But there are beacons of hope, and it is those Kerri-Anne clings to. Although John cannot move, he is alert and awake. He cannot speak, but recently, he regained enough control of his mouth to mouth words. The first word he mouthed was "paraplegic". "John is an amazingly strong person, and he has given me a lot of strength," Kerri-Anne told Sunday Night. "This is the man who I grew up with, virtually. This is the most kind, interesting, fascinating person who I&apos;ve ever known. "It&apos;s like, I&apos;m inside my head screaming that it&apos;s not real, but it is. "A whole chunk of me just doesn&apos;t exist anymore." But the chances of John ever making a full recovery are slim. "I&apos;d love to be wrong, but I think it would be a miracle," Kerri-Anne says. "Getting him back home would just... be the best thing since sliced bread."